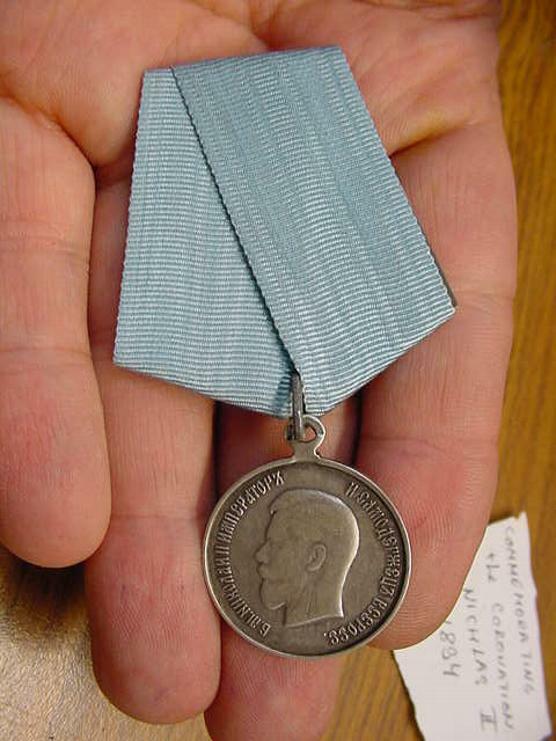 You are looking at a silver medal awarded to all civil servants and military personnel who were on active service in Moscow during the coronation; to representatives of the various guilds and corporations who were present at the coronation ceremonies and to all individuals who took part in the preparation and organization of the ceremonies. 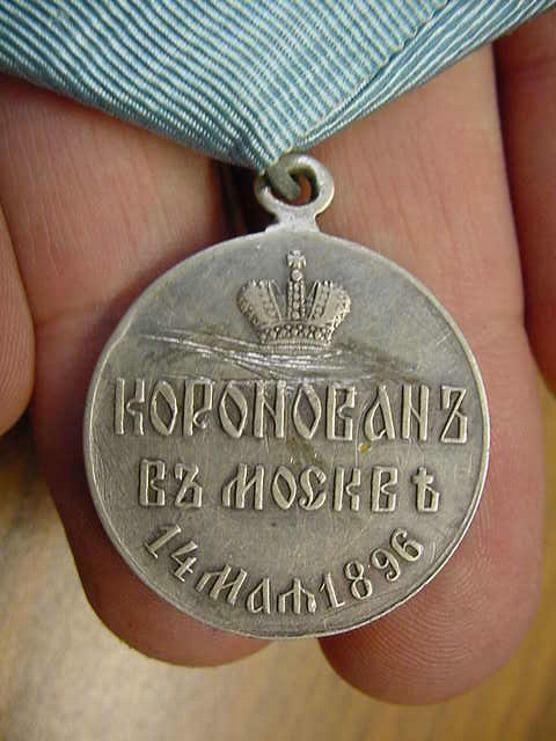 MOSCOW MAY 14, 1896 topped by an Imperial Crown. 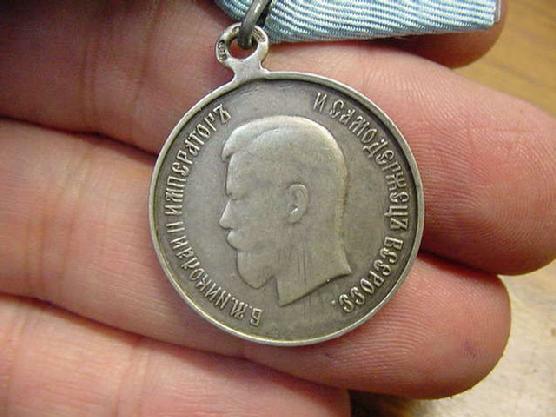 Emperor Nicholas II (1868-1917) was unfortunate in ruling at a time of great social upheaval. The loss of extensive Russian territory following the disastrous Russo-Japanese War of 1905 did little to enhance his reign. 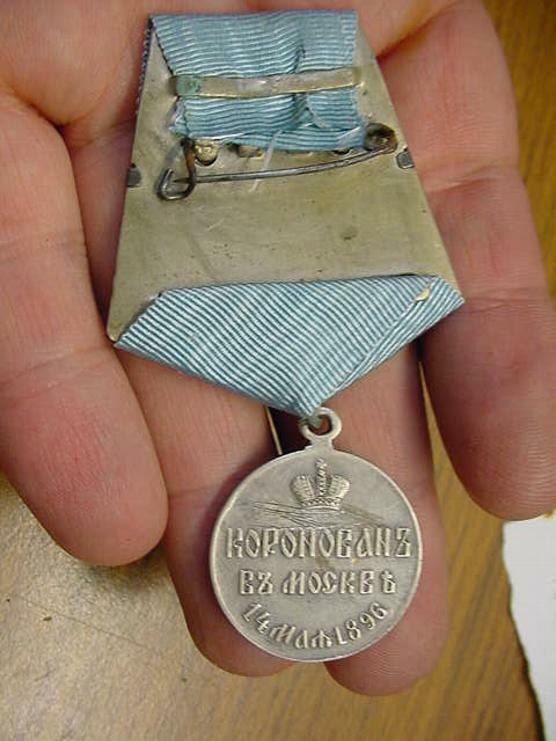 He was executed by the Bolsheviks in 1917.